Visibility Online will help your business get seen on the Internet, and earn money while you sleep. This essential business strategy guide will take you from idea to execution, from having zero online presence, to making money online with a powerful website. Step 1 – Earn money while you sleep: Business ideas that really work for entrepreneurs to build online businesses and generate passive income, making money from home through the Internet. Step 2 – Build a website from scratch with WordPress: No previous knowledge or training required. Create a complete and professional website from choosing the right domain to converting customers. Step 3 – SEO Positioning: The best free search engine optimisation techniques to get top rankings in Google. Step 4 – Online advertising SEM: Advertising strategy for search engines and social media platforms including Google AdWords, Facebook, Instagram, YouTube, LinkedIn, and Twitter. Step 5 – Usability and User Experience: Direct your users from landing page to registration to sale and ensure they come back again, with essential customer conversion and customer retention strategies. Step 6 – Analysis and Measurement: Understand and monitor your traffic using Google Analytics, Search Console, and AdSense and create reports with Google Data Studio. 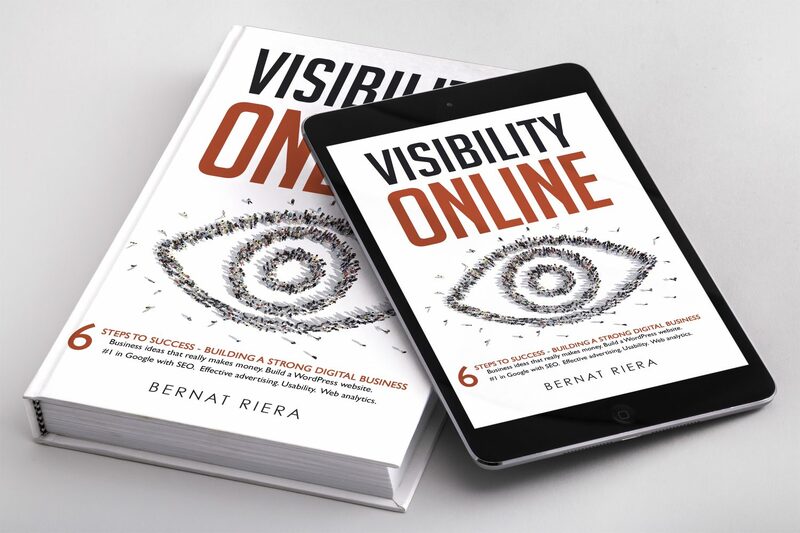 Visibility Online is the definitive guide in 2017 to creating a digital marketing 4.0 strategy, working from a shoestring budget up as high as you can visualise. An essential marketing and digital transformation book for any business owner, CEO, or entrepreneur, and anyone who has the ambition to become a millionaire!